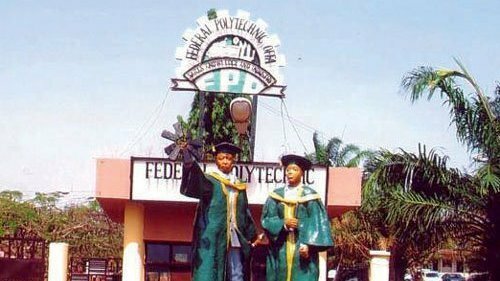 The Management of the Federal Polytechnic, Offa, Kwara State, has said that the institution will commence degree programmes from the 2018/2019 academic session. The Head, Public Relations and Protocols, Mr Olayinka Iroye, disclosed this in a statement issued on Monday. Iroye said the approval for the programme was contained in a letter signed by the Executive Secretary of the National Universities Commission, Prof. Abubakar Rasheed and delivered to the two institutions involved: the Federal University of Technology Minna and the Federal Polytechnic, Offa, recently. Iroye attributed the feat to the doggedness and relentless effort of the institution’s management led by its Rector, Dr Lateef Olatunji. He noted that the polytechnic also signed a Memorandum of Understanding with Ahmadu Bello University, Zaria for the commencement of courses in Management and Social Sciences. Meanwhile, Olatunji has called on academics to proffer solutions to the present economic challenges of Nigeria. The rector spoke during the fifth national conference of the School of Business and Management Studies, of the polytechnic. The conference was themed, "Management of the Nigerian economy for sustainable development in the 21th century and beyond."